SSIS 2005. How to avoid Autocommit when load into OLE DB destination. 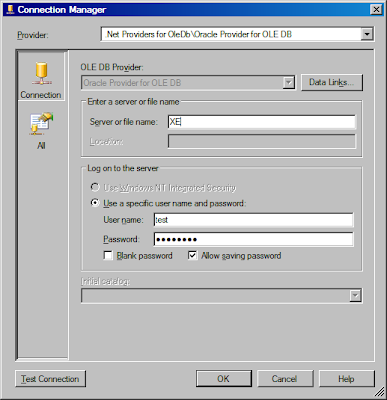 An example with using of Oracle OLE DB driver on a destination side. I have heard from my friend that he is experiencing very slow load into Oracle database. 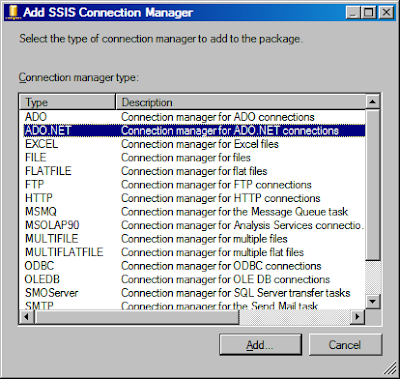 He used SSIS 2005. Which is funny, because Oracle Warehouse Builder is available. Anyway. The cause of slowness of SSIS, when it loads into non-Microsoft OLE DB target, appeared to be the commit after every insert. Since the ‘Autocommit’ is set to be ‘ON’ by OLE DB standard, a driver propagates this mode to the database. The only way to turn it off, is to switch OLE DB datasource into a Transactional mode by issuing a BeginTransaction() call. 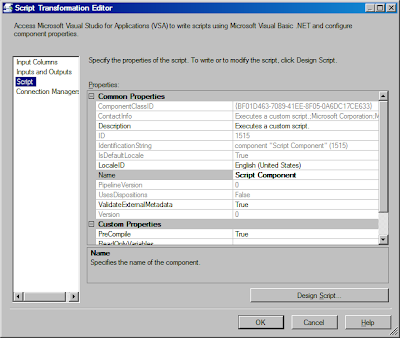 SSIS does issue this call when Batch Size option is specified for MS SQL OLE DB Native Sqlserver driver. But it does not do it for any other OLE DB driver like Oracle’s or even for MSSQL .Net OLE DB. 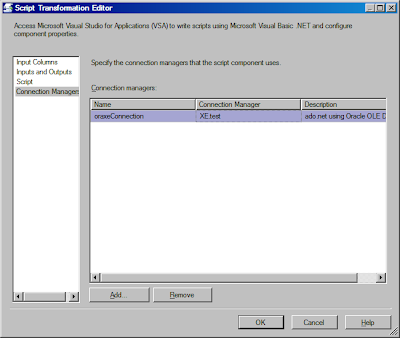 As a result, SSIS demonstrates very poor performance when loading into Oracle OLEDB Destination. I’ve suggested to start transaction in Destination OLE DB session before any insert comes, then do a Commit and start transaction again after some number of rows inserted in order to simulate “Batch size”. I would be curious to know if anybody have found a more elegant and efficient way to fix this situation, however my way is by using Script Component. Create Any kind of Data Source, i.e. an OLE DB Source. It should have fields that can be easily put into a target table. Add Script Component as a Destination and feed it from data source above. 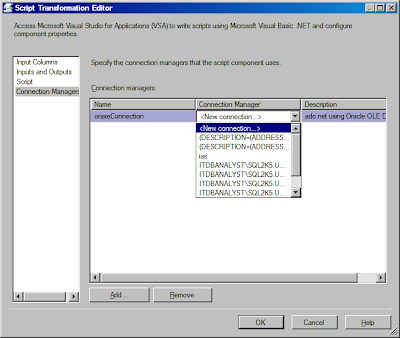 Select Connection Manager form where add New connection manager. Rename new “Connection” to “oraxeConnection” just for distinction. 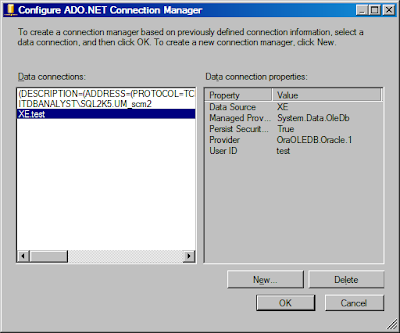 In a dialog “Configure OLE DB Connection Manager” click New. Comparison of this Script Destination method with the basic OLE DB Destination, where both work via the same Oracle OLE DB Driver, shows that the Script method is times faster. Great Article. This helped me speed up my Load. It is 8 times faster this way. Mark. Thanks a lot. That's a great solution. Inspired by your post, I wrote my own solution which utilises Array Binding features of Oracle .NET data provider supplied by Oracle. It is 100 times faster than direct OLE load. 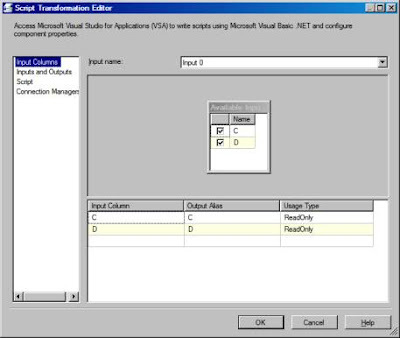 I am using a similar script in order to load data from sqlserver into oracle. For some reason all null numeric fields are transformed into "o". I am using Oledbtype.int32 in the script. I am trying this and it compiles without error. However when I execute it, it seems to be just hanging. Can any guide me how to make it work? It is working - its just taking a long time. 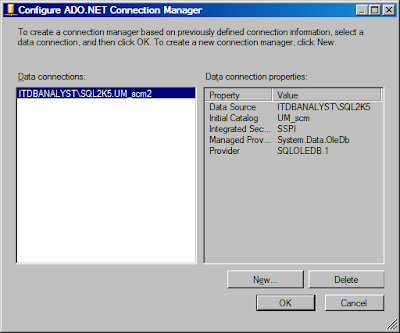 You wouldn't by any chance have ported this connector code for SQL 2008?